This started as a small mod to increase the progression of the Monk Fist's magical enchantment but during the course of my googling I found Kish's Oversight mod that included unique High Level Abilities for the Monk, so I thought I would throw them all together (with Kish's permission) ready to be used in the Enhanced Editions. 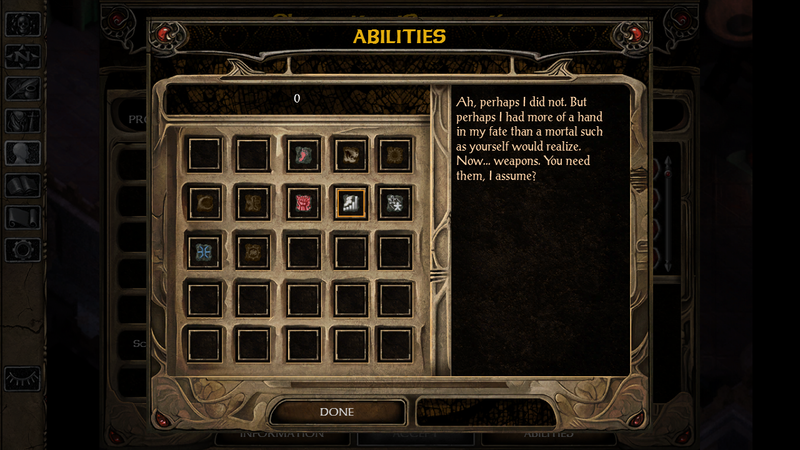 This component was created by Kish for the Oversight mod (http://www.gibberlings3.net/oversight/) and ever-so-slightly modified by me for BG2EE compatability. "In unmodded Throne of Bhaal, monks have access to the same pool of High Level Abilities as fighters. This seems lame. This component will give monks their own set of High Level Abilities instead, most of which should be quite familiar to anyone who has played through Throne of Bhaal before. This kick throws the target back, knocks the target unconscious, and deals 4d8 points of damage. A more powerful form of Shadowless Kick, this power ensures every blow for the next round is a critical hit. In addition, every blow for the next two rounds throws the target back and knocks the target unconscious. With a blow, the monk strips away the magical protections of the target. By concentrating briefly on another area within 4000 feet, the monk can instantly transport herself there. Prerequisite: Feet of the Wind. The monk's magic resistance converts into physical damage resistance for a number of rounds equal to twice the monk's level. The monk also becomes immune to backstab for the same duration. Solar Stance renders nearby enemies more vulnerable, reducing the saving throws of any within 60 feet of the monk by 4. It creates a cloud of glittering golden particles that fill the air for twenty feet around the monk, revealing invisible creatures. All enemies in the cloud must roll a successful saving throw vs. spell or be blinded (-4 to attack rolls, saving throws, and Armor Class) until the dust fades, after 4 rounds. Also, a blast of fire emanates from the monk, scorching and throwing back everyone in a 30-foot radius, though the stance protects the monk from the flames. A monk who strikes this stance gains a +5 bonus to Saving Throws vs. Death, a + 2 bonus to luck, and becomes immune to Slay, Imprisonment, Petrification, Level Drain, Disintegrate, and Time Stop. The duration of this power is four rounds. This stance causes the monk to instantly become both invisible, as per the spell Improved Invisibility, and immune to divination spells such as True Seeing. This power lasts for 23 rounds. Each time this ability is chosen, it greatly and permanently increases the monk's movement rate. By concentrating briefly, the monk can shrug off even the worst of wounds, once per day. The effect of this power is to fully heal the monk instantly. The monk has one more use of the Stunning Blow ability per day. The monk has one more use of the Quivering Palm ability per day." This component offers two choices of monk fist magical enchantment progression. This option is obviously very overpowered compared to vanilla progression, I made it mainly as an option for those that want to ensure that they will be able hit anything they are likely to encounter. This option I feel is more balanced between faster progression and what vanilla monks get. This option requires the Enhanced Edition. Edit: v1.1 - Small update, hadn't tested in BGEE, fixed the fist names so they work regardless of game. Also, if anyone could tell me how to modify the Monk Class description that would be great, couldn't figure that one out without overriding dialog.tlk. EDIT2: In case it is not clear, the string number should be between the tildes. Obviously, you will not be changing the name of the class from "Monk" so you just need to replace the "help" string, which will change the description. Note that (last I remember) the game will crash if the description is too long, so watch out for that. EDIT: Near infinity should help you find the string. Do a search of dialog.tlk. @Grammarsalad Cheers mate, got that part sorted but now I'm having trouble with how to handle BGEE vs BG2EE I found the GAME_IS test in the api but IF GAME_IS threw parse errors and REQUIRE_PREDICATE GAME_IS seems to be only for an entire component rather than a section of a component. @Zakharon Yeah it's finished and works (grab v1.1 for the BGEE fix), right now I'm just trying to edit the Monk description to reflect the Fist enchantment change. If you don't care about the kit description being accurate then it is all done. I'm afraid I can't help with that my friend. Good luck! Eh, that's cool, I'm not too fussed about whether the class description is accurate, it seems like more trouble than it's worth. I assume the problem is that bgee and bg2ee reference different strings? If so, why not have a bgee version and a bg2ee version? It's not elegant, but it would be functional untill you figured that bit out. Also, there seem to be a lot of mods that check for the game engine. Perhaps you could see what they do? Fantastic! The lack of overhaul was all that kept me from playing monk on bgee. Nicely done, Prismo! I've run into a strange problem after installing this mod. As a level 6 kitless monk, I found that Mustard Jellies were immune to my fists. Given that, with this mod, my fists are blunt and +1 magical by then, this shouldn't be the case. Has anyone else had this problem? Edit: Should have mentioned a few specifics. I'm playing BGEE, I installed this mod using the faster of the 2 fist progressions, and only use this mod and 2 other, very unrelated mods currently (Isra NPC and the mod that adds ranged arcane staves and circlets). Edit 2: Just confirmed that I cannot hit Vampiric Wolves or Flesh Golems with my fists at level 7. It reads "Weapon Ineffective". It looks like the fists give the thaco bonus of +1, but don't seem to be considered magic when it comes to hitting foes immune to normal weapons. Final Edit: Just loaded up DLTCEP and checked the item files for the MFIST series. The MFIST2 and MFIST3 do not have the "Magical" box checked under the Icons and Attributes tab. I've fixed this on my game manually, but maybe you could fix that if you decide to do a re-release that alters the monk description. Thanks mate, sorry about that, I had a look at my files and it was fine on my laptop where I play but I guess I used old files on my pc when I did 1.1 because they had the box unchecked. Anyway sorry you had to go looking yourself been neck deep in Diablo 3 UEE. A couple of questions if you don`t mind. First can this mod be used mid game without problems. Especially as my monk already has some of the standard hla`s. Second have you thought about doing kit specific hla`s like one that upgrades the sun soul monks Greater Sun from fire shield red into the priest spell aura of flaming death? Sorry mate, I have no idea, I am not the author of the hla portion of the mod and have not tested it under those specific circumstances. Which incidentally is also my answer to your second query, as I am far to inexperienced a modder to pull off something of that scale atm. I've been looking for this mod. It looks like the setup file is an .exe. Is there a way to install this on a Mac? Wait, when you say "this option requires the Enhanced Edition", does that mean the rest of this mod works with the original BG2, including the first fist option? So, this might all be sorted out by now, but maybe this will be helpful. Well this is a revelation. I always had to remove the line in the .tp2 file of Kish's Oversight mod about needing the ToB because it wouldn't install on the EE otherwise. -Both the Sun Soul and Dark Moon kits have the option to select an extra use of Stunning Fist even though neither of them are allowed to learn it naturally. -Similarly, the Sun Soul kit can choose an extra use of Quivering Palm when they're not allowed to learn it normally. -I find it kind of weird that a Dark Moon monk would learn a technique called Solar Stance when they worship a goddess of darkness. Other than those, I'm glad this has been updated for the Enhanced Editions. Trying to work around the HLAs to fit the kits would undoubtedly be a massive pain in the rear, so I can't fault the oversight there. This is a great mod for getting through BG2 more conveniently (especially if you want to punch vampires at a more reasonable level). This also helps with one of the biggest problems monks had for BG1: Hitting enemies with +1 weapons with +0 fists; it was impossible, as the level cap went JUST beneath the level they would be gaining +1 fists normally. And I remember back when the talk of these HLAs being released for the original BG2 people said it was too OP, but I disagree. Most of these HLAs make sense for a monk, in a manner of speaking, as while Greater Whirlwind is nice, Hardiness makes no sense, Deathblow wouldn't fit well, and Magic Resistance would be completely useless considering the monk's already god-like MR.
Actually its not that hard to change up the HLAs like I suggested. I've gone ahead and done that already but I never said anything about it because I've never done anything with Weidu before. So just shove these two into your 'override' folder if you've got these monk HLAs installed. Say yes to overwrite anything. So here's my modified versions of the HLAs used in this mod for the two monk kits. -Dark Moon monks cannot learn Solar Stance, but they can learn Lunar Stance after learning Tiger Strike. 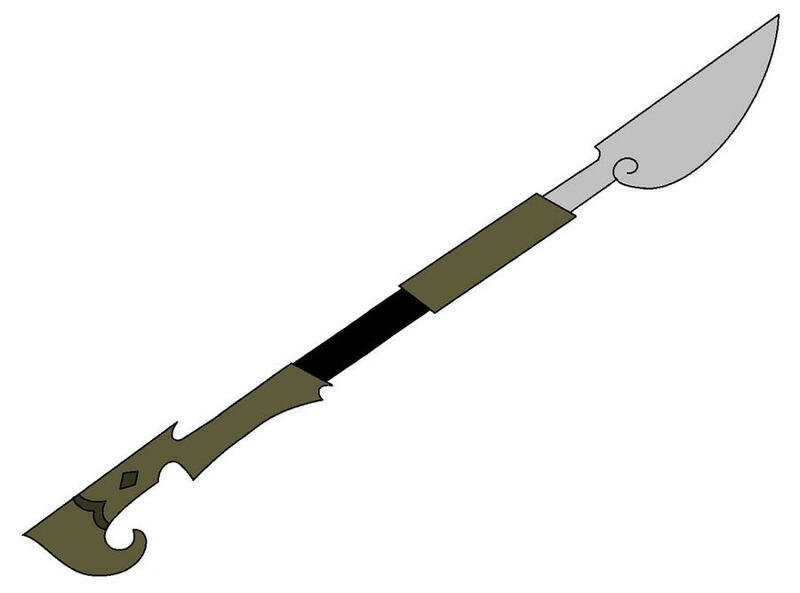 Keeping with the monk theme thread, can they now use quarterstaves and off-hand weapons properly? Any way to get this on a Mac? See my above comment, since I'm using your version. I don't see why, but is there any reason this wouldn't work with BG/BG2EE v2.0+? I'm finally going to be updating from v1.3, and I'm going through and downloading the most up-to-date versions of all the mods I use. Is this mod still being maintained? ive made a variety of enhancements (visually, effects) that i think the author would like.